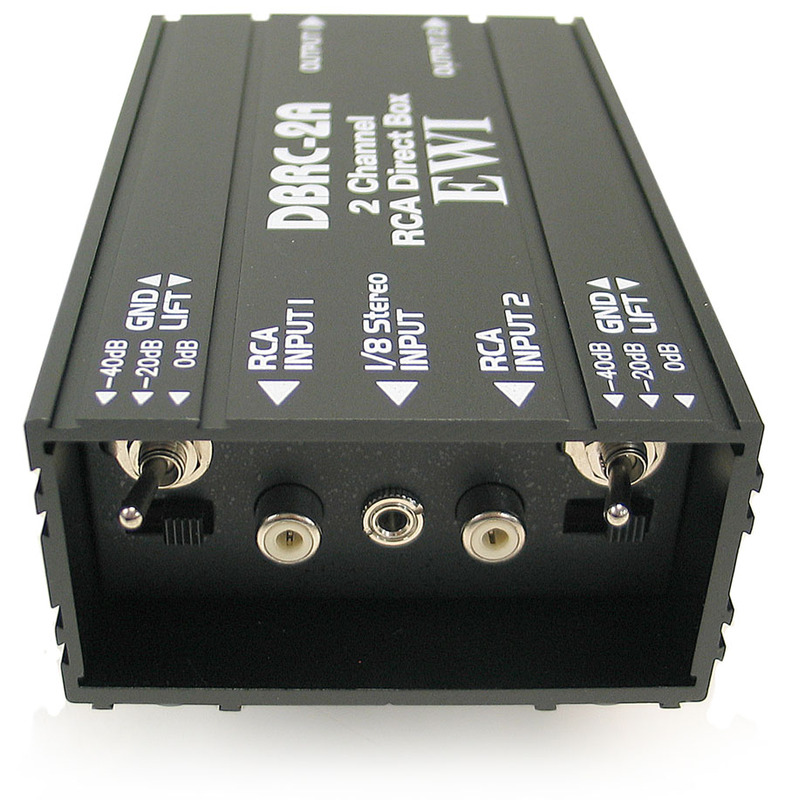 This DI is a great item for a DJ with an RCA output sub mixer or anyone that wants to hook a laptop output to the main mix board. 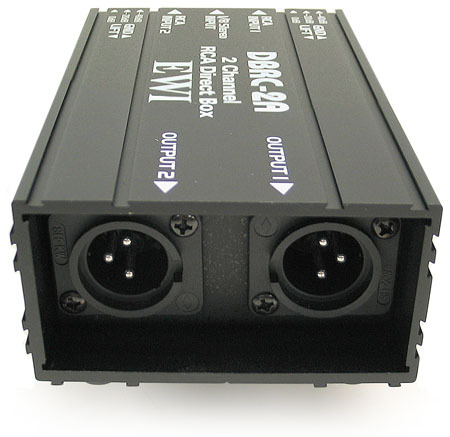 It is equipped with two RCA jacks and a parallel 1/8" stereo jack for inputs. The 1/8" jack is wired with the ring to channel 1 and the tip to channel 2 with sleeve to ground. On the output side, there is one XLR jack for each channel to send to the board. 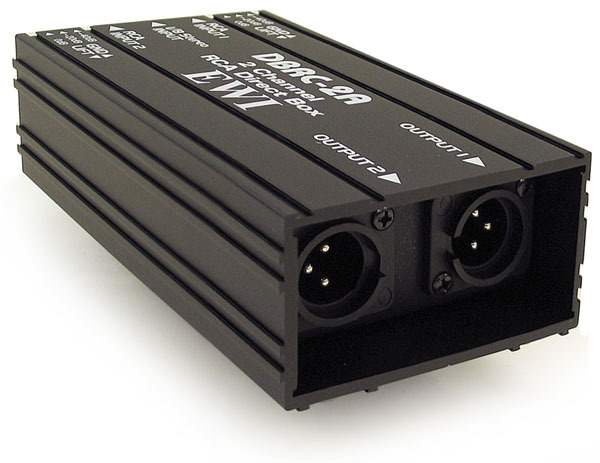 Also there is a separate ground lift switch and a –0dB, -20dB, -40dB attenuator switch on each input channel. 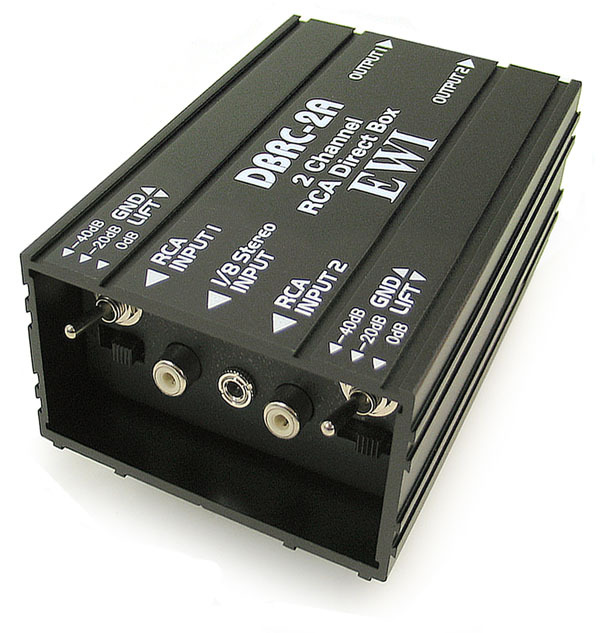 The internal splitting transformer used in the DBRC-2A is good quality and is a key feature. The quality of the internal splitting transformer is the key to a good performing D.I. Box. 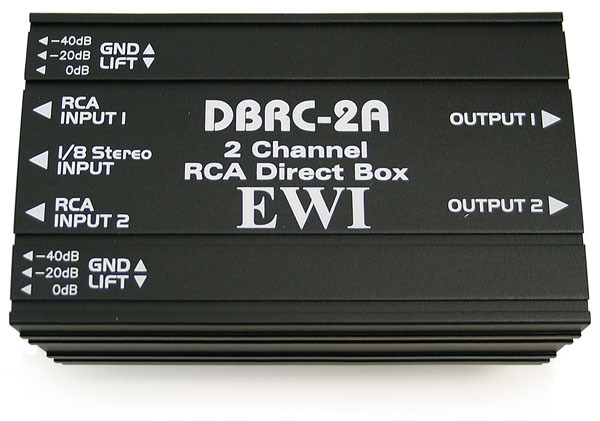 The transformers used in the EWI DBRC-2A are manufactured to strict EWI tolerances designed specifically for this application. The box is extruded aluminum. The box has a nice feature in that it is built so multiple boxes can be hooked together physically either side-by-side or one on top the other. There are 4 nice little rubber feet on the bottom to help keep it from sliding around on a slick surface or damage a nice surface. The box is extremely tough. Computer or DJ sub mixer outputs to main mix console. Attenuation selectable signal conversion between RCA or stereo 1/8" unbalanced Hi Z signals and XLR balanced Low Z signals.